It's been a great year for scrap quilts, and we've shared a lot of innovative and cost-effective scrappy quilt patterns that we know you've enjoyed. 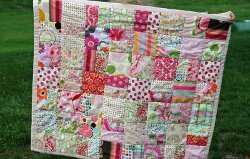 If you've missed any, then you need to take a look at our 97 Scrap Quilt Patterns and Ways to Use Up Your Fabric Scraps. Find baby quilt patterns, organizational ideas, and plenty of options for using up your fabric scraps effectively. Grab you stash and see how you can create something totally new from the littlest things you have. 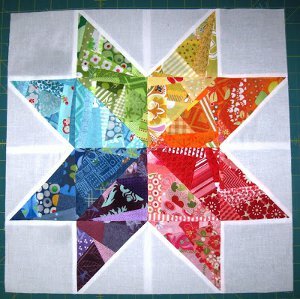 Start with the basic foundation of your scrap quilt pattern with 9 Scrap Quilt Block Patterns: Free Quilt Blocks for Every Kind of Quilt. Not only are these quilt block patterns some of the many excellent ways you can start building your next full quilt pattern, but they're also great practice if there's a certain pattern you're struck on. You won't waste materials, but will still get practice when it comes to the best quilt blocks if you work with your quilt scraps. If you're looking for a small quilt pattern, but not necessarily a quilt block, take a look at the quick and easy patterns in 9 Sweet and Small Scrappy Quilt Patterns. 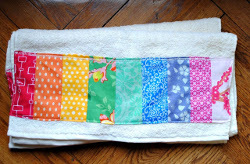 What better way to use colorful fabric scraps than to cheer up your home decor? 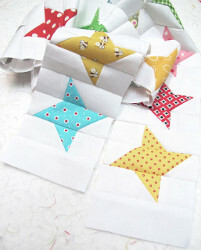 Make a scrappy baby quilt pattern or an accent for your front room table that has a noticeably homemade charm. Find out what scrap quilt patterns other quilters had enjoyed working on with this list of the Top 10 Free Scrap Quilt Patterns. This is another one of our collections of scrappy quilt patterns that provides readers with an exciting amount of variety. 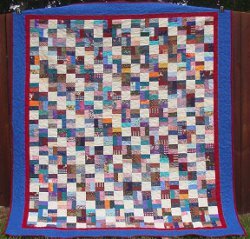 You can choose to learn to make a bargello quilt, a tied quilt, or some decorative scrap quilt designs for a number of occasions. There are always going to be new little babies being born no matter what time of the year it is. When you're having trouble deciding on a pattern to make or only have time to make a small baby quilt design, we recommend you take a look at 11 of the Best Baby Scrap Quilts for Boys, Girls, and Baby Shower Gifts. 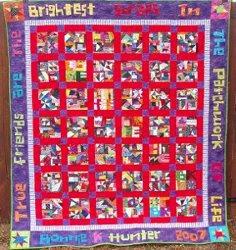 There are scrappy quilt patterns suitable for both boys and girls, as well as for expecting mothers who need a little help with their baby supplies. These patterns are also perfect as homemade quilt gifts. We're not just offering you ways to make your scraps into sensational new quilts. There are plenty of homemade storage solutions and thrifty organizing ideas out there, which is why we combined the two in What to Do with Your Fabric Scraps: 18 Scrap Quilt Patterns and Organizing Ideas. There's a lot of variety in this collection. Find scrappy quilt patterns and projects, as well as ways you can incorporate scrap quilting into your techniques. Your scrap quilting can go hand-in-hand with your clean up with these organizational ideas that are meant to both store and use up scrap quilt fabric. After reading through 20 Organizing Ideas: Making Small Quilt Projects and Reusing Your Fabric Scraps, you'll be ready to start cleaning up your quilting space and putting your scraps of fabric to better use. 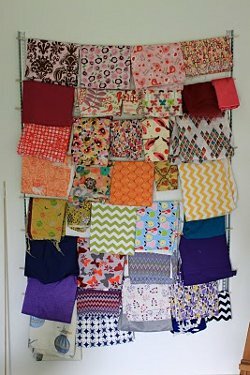 20 Scrap Quilt Patterns: Ways to Make a Scrappy Quilt with Leftover Fabric is another of our most popular scrap quilt pages, and includes ideas for scrappy quilt projects in all shapes and sizes. 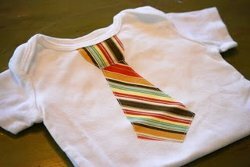 You'll be busy until you run out of scraps with so many potential patterns! where do I find the measurement for cutting the "Twinkle Twinkle scrappy star and butterfly featured?